Shop 302+ used cars, trucks and SUVs online. From sedans to pickup trucks and everything in between, PA Auto Sales makes it easy for you to drive the car of your dreams. Thanks to our huge inventory, you are sure to find the car you are looking for with an affordable price tag. Moreover, we are constantly updating our inventory, making it possible for car enthusiasts and those who just need a car as a mode of transportation to visit our site, browse through our ever-expanding inventory of cars, and pick from the make, model, and price range they desire. Simple and straightforward, that’s what we aim for at PA Auto Sales. We have made it extremely easy for you to find the car you are looking for. By using simple drop-down menus and detailed search options, we take the guesswork out of buying a used car online. Using our website, our clients can either search for their favorite cars by vehicle type, make, model, or year of production. Other filters include pre-owned, color, body type, fuel type, transmission, city MPG and highway MPG, vehicle condition, and vehicle price. To make sure you get the best possible deal, we also have a ‘used vehicle specials’ page where you can go to check out the best car deals for the day. You can also read reviews and compare different vehicles. Auto financing that’s right for you. We have top-notch banking partners. What does this mean for you? Better terms and quicker approvals. We will get you approved and will get you into the car, truck or SUV of your choice. All of the used cars that are available on our list have gone through rigorous inspection by our experienced technicians to make sure that every car you choose is in excellent condition. The used cars that you will find in our inventory include cars with low miles and other sought-after features such a, keyless entry, leather interiors, and the latest navigation system along with other cutting-edge features. Now there’s no need to give in to “auction fever.” With PA Auto Sales, you can now get the best cars in town at unimaginable prices. Normally, when you go to a brick-and-mortar used auto dealership, the first thing you need to get is an independent mechanical report. This means you need to fork up extra cash to arrange for a local and trustworthy mechanic to inspect your car. If you are purchasing a car from a private seller, the seller has to permit it first. Then you have to transport the car to the mechanic’s shop and wait for a few days to get a report. Going online saves you from having to arrange any inspection of the car prior to its purchase. Why? 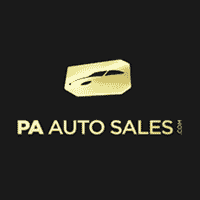 Because all car models that are featured on our “Used Vehicle Specials” page have already been fully serviced and inspected by experienced technicians at PA Auto Sales. Our knowledgeable car technicians perform a thorough inspection on the car’s interior and exterior so you don’t have to. You can rest assured that you are going to find the best car deals in town at PA Auto Sales at amazing prices once you browse through our “Used Vehicle Specials.” So, what are you waiting for? Contact us today to find out more about the latest used car deals in Philadelphia.